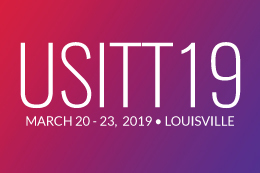 The Student Ambassador Program is an exceptional opportunity for students to interact closely with renowned international designers and technicians attending USITT19 in Louisville, Ky.
Three student members will each be paired with one of three visiting international guests with similar areas of focus to encourage international networking between early designer/technicians and our global colleagues. Student members will be chosen for this honor in Louisville based on their fields of study, compelling application, and letter of nomination/ recommendation from a mentor. 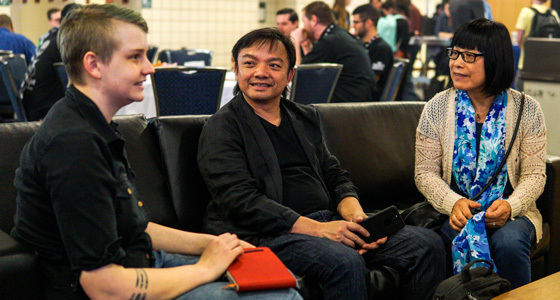 Student Ambassadors will receive free Conference registration and a luncheon with the three international guests. The deadline for applications is Jan. 15, 2019. Winners will be announced by Jan. 31. Apply here for the Student Ambassador Program. Psyche Chui: Noted Hong Kong-based lighting designer and Senior Lecturer at HKAPA. Pawel Dobrzycki: Stage, costume, and lighting designer, professor, painter, and architect. He trained in Krakow and is currently Dean of the Scenography Faculty at the Academy of Fine Arts in Warsaw. Junghoon Pi: Sound designer/composer and assistant professor at the Seoul Institute of the Arts. He will also be presenting at the Kimchi and Chips session.